October 4, 2012 – All-new episodes of KITCHEN NIGHTMARES, the unscripted series featuring Chef Gordon Ramsay helping fledging restaurants turn their luck and their businesses around, will start cooking Friday, Oct. 26 (8:00-9:00 PM ET/PT) on FOX. 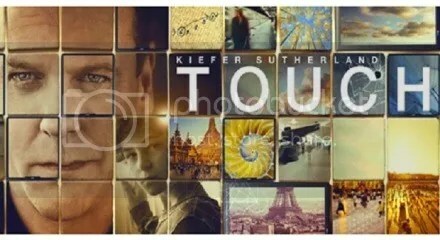 TOUCH, the critically acclaimed adventure drama starring Emmy Award winner Kiefer Sutherland (“24”) will now have its second season premiere in January 2013(date and time to be announced). In the fifth season of KITCHEN NIGHTMARES, Gordon Ramsay treks to Brooklyn, Boston, Pittsburgh and the suburbs of Los Angeles and Cleveland, to help struggling restaurants stay afloat. Each week, Chef Ramsay will visit a new establishment with myriad problems. He will delve deep into the inner workings of each eatery and explore everything from unsanitary refrigerators to lazy and inexperienced staff in order to diagnose the real problems. Whether he changes the restaurant’s operations, updates the menu or gives the establishment a complete makeover, Chef Ramsay will do whatever it takes to try and turn these restaurants into popular, successful and, most importantly, money-making businesses. It’s up to the restaurant owners to take his advice and use it – or face closure. In Season Two of TOUCH, the story setting shifts from New York to Los Angeles, where single father MARTIN BOHM (Kiefer Sutherland) and his gifted son, JAKE (David Mazouz), are on the run from the mysterious and possibly sinister research facility Aster Corps, which had shown tremendous interest in exploiting Jake’s ability to perceive the hidden patterns that connect people around the world. After arriving on the West Coast, the father-son team met distraught mother LUCY ROBBINS (Maria Bello, “ER”) and now are determined to help find her missing – and equally gifted – daughter AMELIA (newcomer Saxon Sharbino). During their search, their paths will cross with Aster Corps’ genius, CALVIN NORBURG (Lukas Haas, “24”), whose rumpled exterior masks his true colors, as well as a complicated and intense religious zealot, GUILLERMO ORTIZ (Said Taghmaoui, “G.I. Joe: The Rise of The Cobra”). KITCHEN NIGHTMARES is a co-production of ITV Studios America and Optomen in association with A. Smith & Co. Productions, Inc. Arthur Smith, Kent Weed, Patricia Llewellyn and Gordon Ramsay serve as executive producers. “Like” KITCHEN NIGHTMARES on Facebook at www.facebook.com/KitchenNightmares. Follow the series on Twitter @KNonFOX and join the discussion at #kitchennightmares. TOUCH is a production of Chernin Entertainment and Tailwind Productions, in association with 20thCentury Fox Television. Tim Kring created the series and wrote the pilot. Kring, Carol Barbee (“Jericho”), Peter Chernin, Katherine Pope, Kiefer Sutherland and Suzan Bymel (“The War at Home”) are executive producers. “Like” TOUCH on Facebook at www.facebook.com/TOUCHonTV. Follow the series on Twitter @TOUCHonTV and join the discussion at #touch. This entry was posted in TV NEWS and tagged drama, fox network, gordon ramsay, kiefer sutherland, kitchen nightmares, television, television series, TOUCH. Bookmark the permalink.